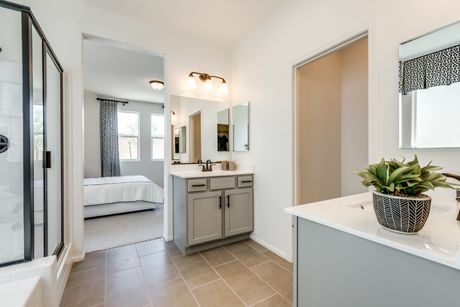 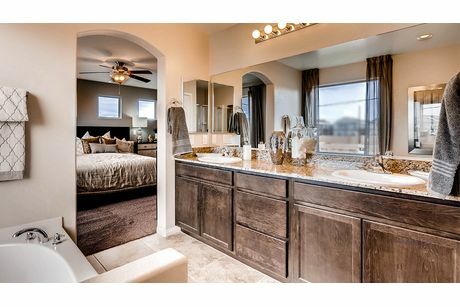 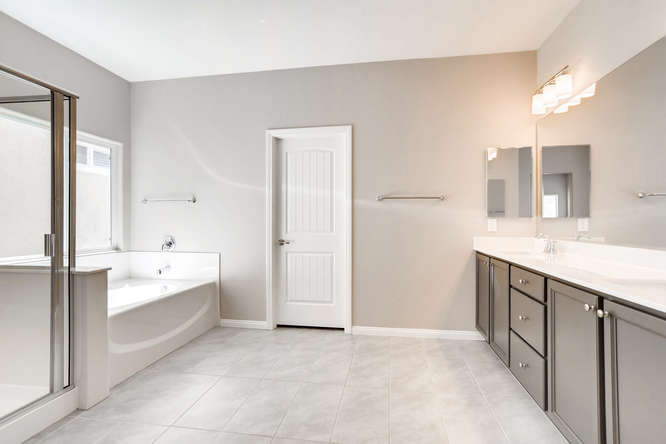 The new homes for sale in Las Vegas give homeowners a beautiful and comfortable place to get ready in the morning and relax at the end of the day. 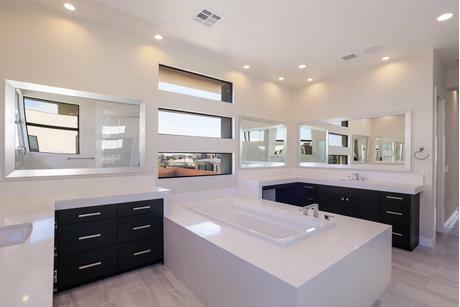 Major trends for Las Vegas’ bathrooms include numerous luxurious features that take the style of these rooms to the next level. 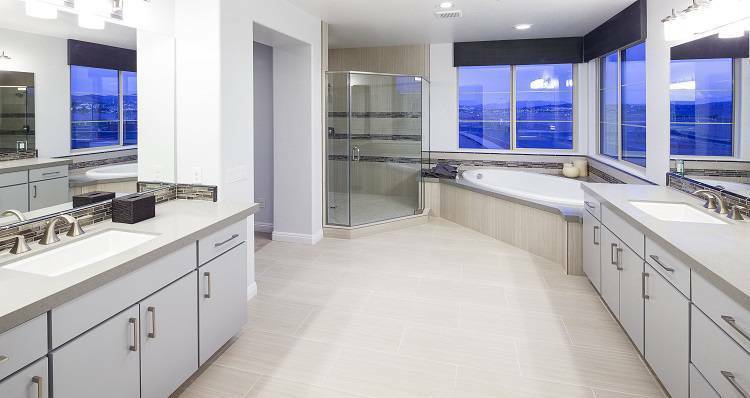 Granite countertops, dramatic lighting, garden tubs and unique tiling are major trends in Las Vegas’ bathrooms. 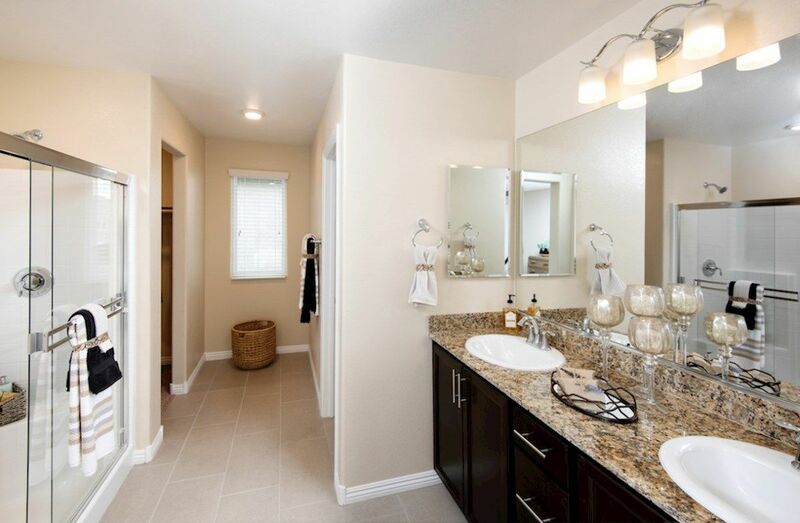 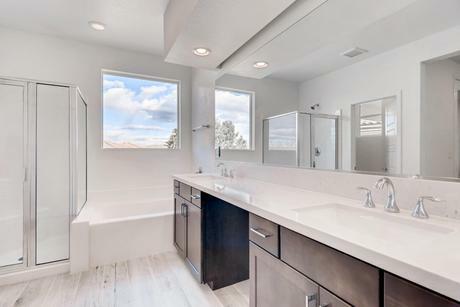 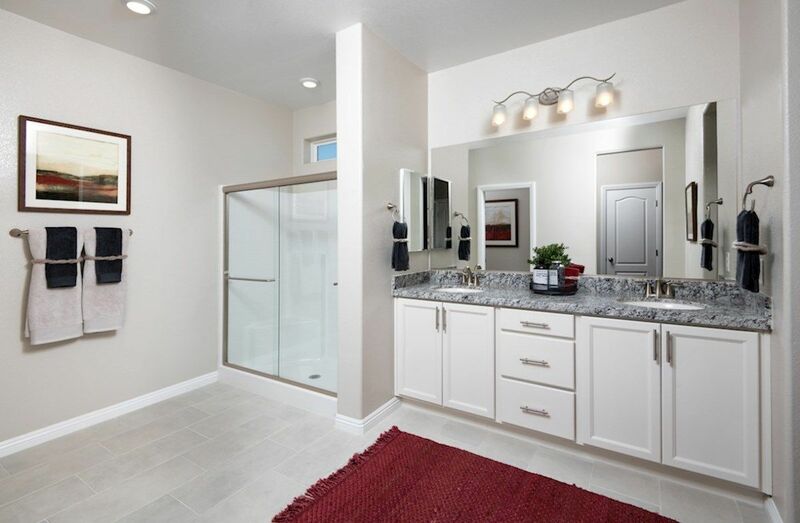 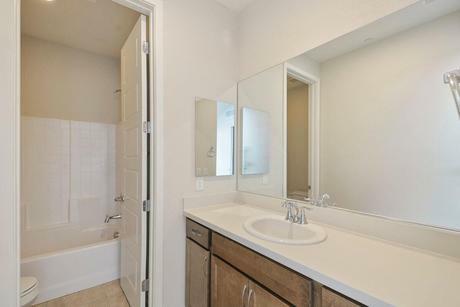 If you are shopping for a new home in Las Vegas, you might not think too much about what the bathrooms in your new home could look like. 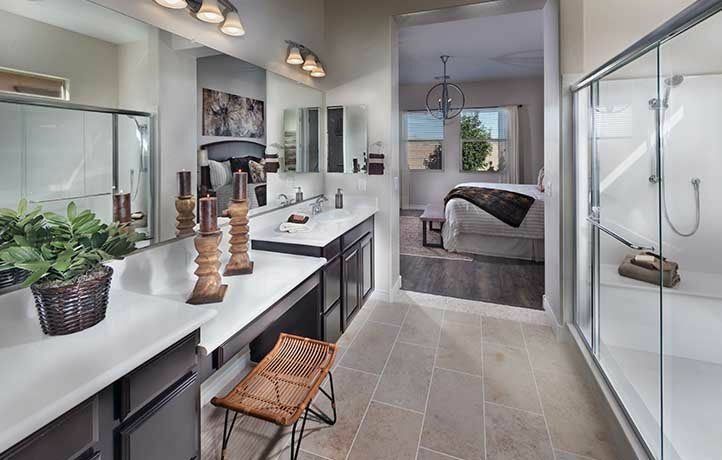 If that is the case, you are missing the chance to design a space that makes your early morning and before bed routines easy and enjoyable. 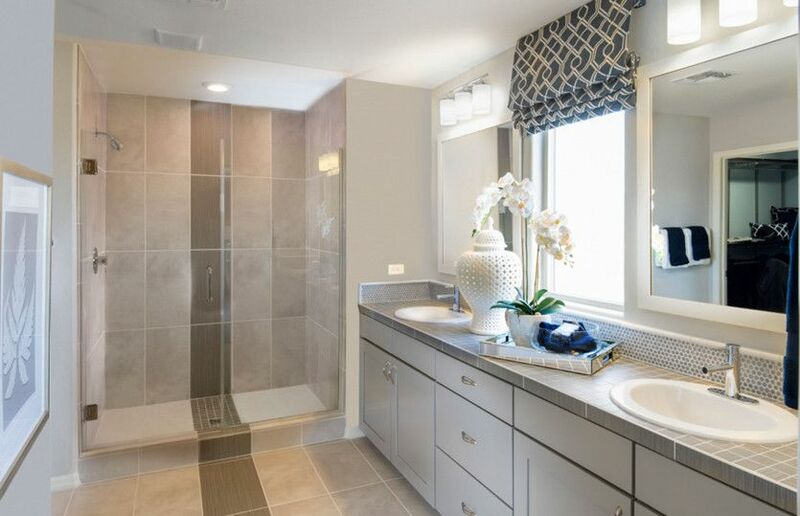 What could be better than having customized storage solutions in your bathroom that make it easy to get what you need when you need to wake up and greet the day? 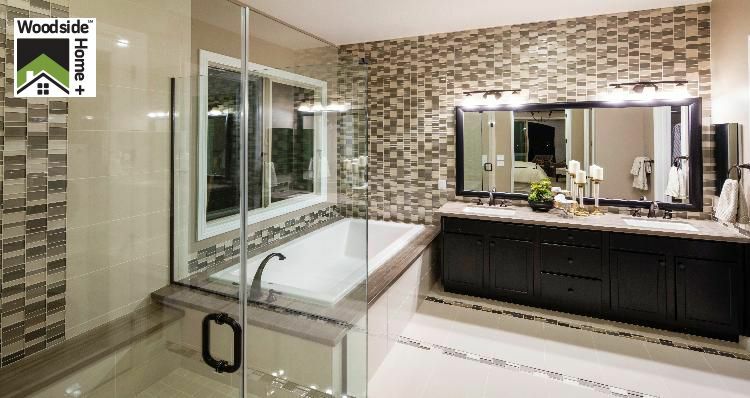 And at the end of the day, nothing aids relaxation and eliminates stress quite like a long hot bath in a bathroom that feels more like a luxury spa than an embarrassing room in your home nobody talks about. 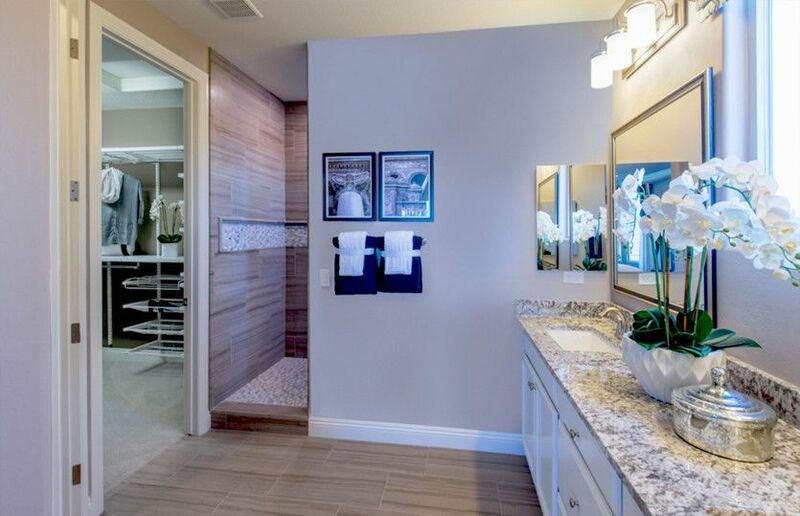 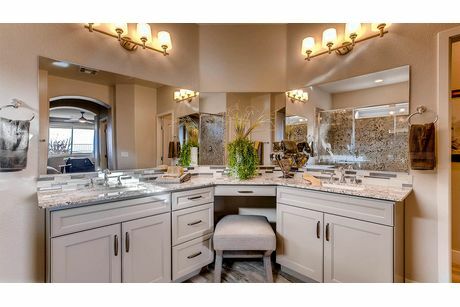 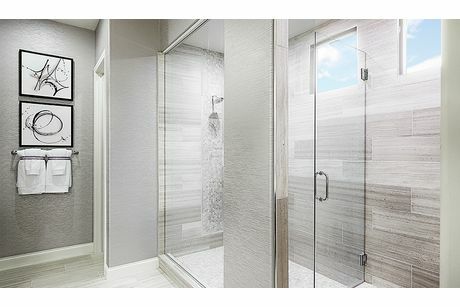 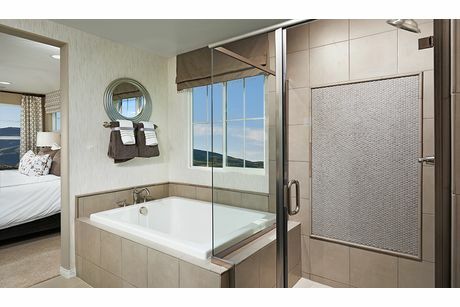 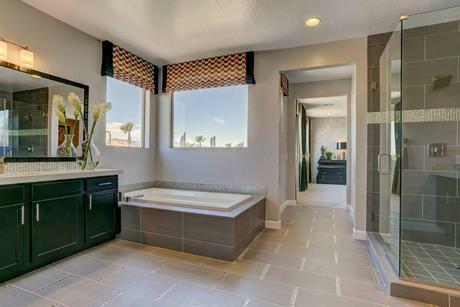 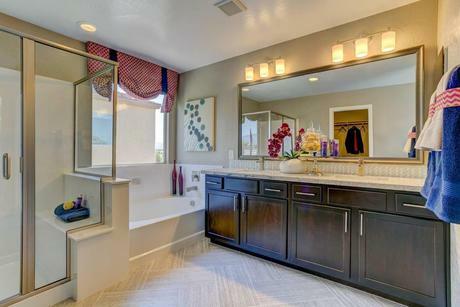 The bathrooms in new homes in Las Vegas reflect desires for calming experiences throughout the home. 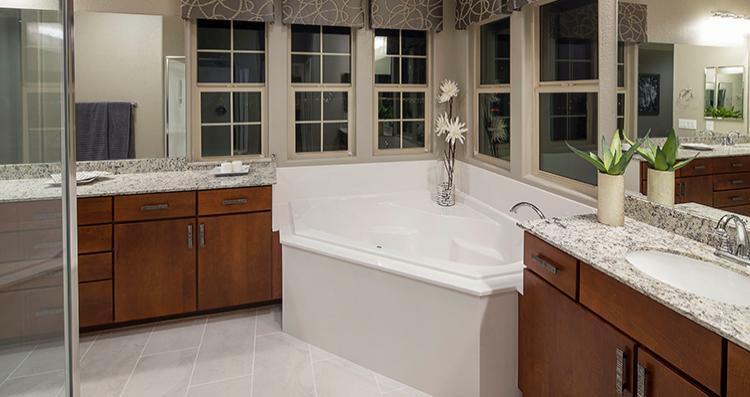 With HomLuv, explore new home bathroom ideas ranging from beautiful tiling to built-ins that double as décor. 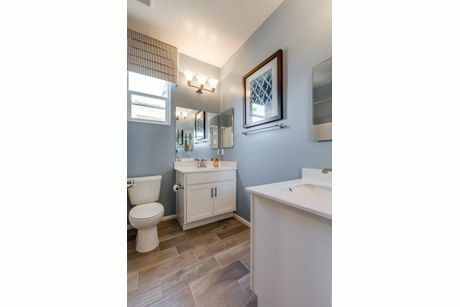 Even small bathrooms and powder rooms in new homes have been thoughtfully designed to look beautiful and facilitate easy use. 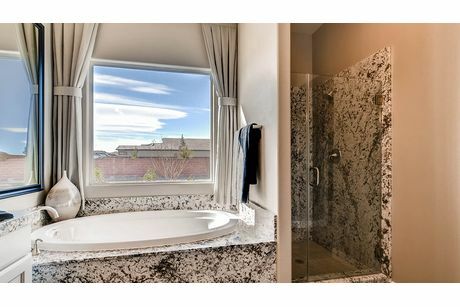 As you scroll through these inspiring bathroom design ideas, remember to Luv the images ones you really like. 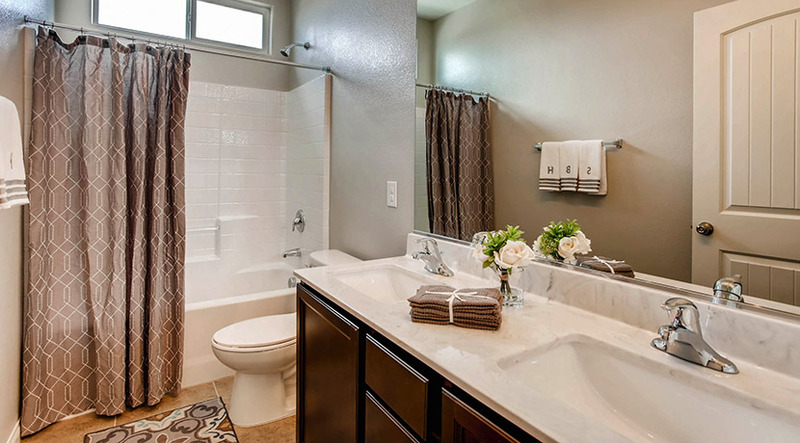 This ensures you continue to only see images relevant to your personal style and needs. 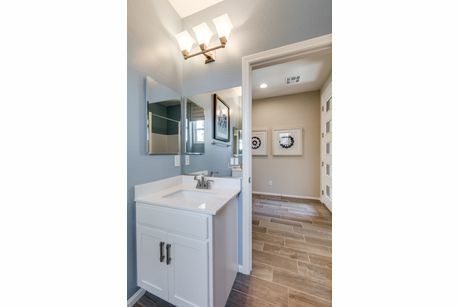 Engaging with these beautiful bathrooms also helps you determine what you need from your new home and it’s less talked about spaces.